I can almost understand why Apple avoided video streaming yesterday’s event. There was so little to announce. The only real announcement was the two new iPhones, exactly as rumored, with one massive exception. The so-called “c for cheap” phone aimed at developing markets was anything but cheap. Every year, the company makes only one new model, a phone that represents Apple’s platonic ideal—the one phone it thinks everybody ought to have. Apple usually sells the new phone for around $650, and wireless carriers sell it to customers for $199 with a two-year plan. To hedge its bets against low-priced competitors, Apple also keeps selling its previous models, reducing the price of each by $100. Last year, when Apple unveiled the iPhone 5, it kept selling 2011’s iPhone 4S for $550 ($99 with a contract), and the 2010 iPhone 4 sold for $450 (free with a contract). The 5S announced yesterday followed this pattern. Instead of dumping the price on the 5, Apple released the 5C in masses of plastic colors. But instead of a super cheap price all they did was discontinue the 5, and slot the 5c into the price range that would have been for the 5. At $550 it is way more expensive than what was needed or expected. Slate details why they think this has happened. The event was also disappointing because there was no mention at all the much-rumored iWatch (obviously because it isn’t ready) or the Apple TV. The idea that Apple would make a TV set is rather silly, but there is lots of room for them to improve the little set-top box. Even if they don’t offer new hardware, the interface could use an update, there need to be more TV channels available, and, what would be really wonderful is if there was a proper Apple TV app store, so developers could make their own channel apps available. If I want to watch a live pod from Twit.tv now, I have to play it on my iPad ior iPhone and Airplay it to the Apple TV. All that is available in the Apple TV’s podcast app are old editions. There ought to be a live streaming Twit app, but under the current system Apple has to implement it. 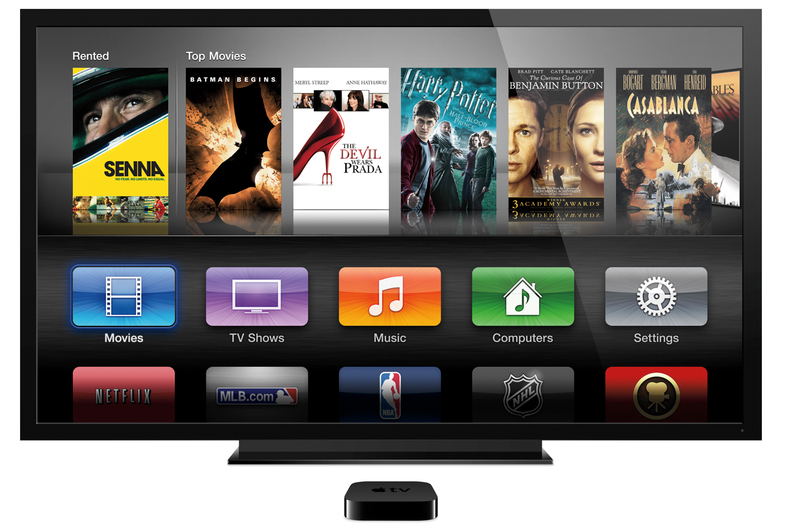 Apparently, there is a small update to the Apple TV software being released at the same time as ios 7, on September 18. But Tim Cook and company seemingly didn’t think that was even important enough to mention. Hopefully it will offer more despite this slight. Nor did they mention the introduction of iTunes Radio (probably that same day?) which was massively hyped in the last event. It will be a major upgrade, Apple taking on the likes of Spotify and Pandora, and linked directly to sales from the iTunes store. That ought to have been worth a mention. Pundits have said Apple didn’t want to announce the coming new iPads yesterday because they didn’t want the iPhone and iPad announcements to clash and detract from each other. But there was so little announced yesterday, that they might as well have presented the iPads as well, rather than wait another month. One big event rather than one disappointment and one unknown.